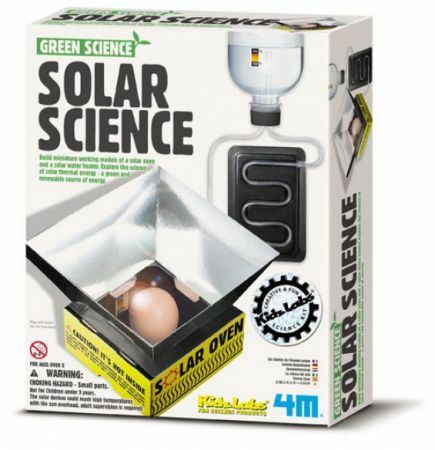 Build a miniature solar oven and a solar water heater. Explore the science of solar thermal energy. Kit comes with 1 cardboard box, 4 silver reflector cards, 1 black panel base with cover, 1 bottle connector, soft wax, 2 thermal indicator stickers, 1 cap with 2 holes, transparent plastic tubing and experiment instruction guide with fun facts.